Wednesday February 6, 2019 - A section of Orange Democratic Movement (ODM) MPs have revealed the name of a top Jubilee Party politician who is behind the attacks against Mombasa Governor, Ali Hassan Joho. Over the last two weeks, Jubilee minnows led by Nandi Governor, Stephen Sang, Kapseret MP, Oscar Sudi, and Kikuyu MP, Kimani Ichungwa, have been attacking Joho saying he is a drug peddler. However on Wednesday, 13 ODM MPs defended Joho over accusations that he is involved in drug trafficking. The leaders among them Minority Whip Junet Mohamed accused Deputy President William Ruto of being behind the attacks targeted at Joho. "We are tired of having to continuously respond to these drugs accusations. These old and tired accusations have been overtaken by events," Junet said. 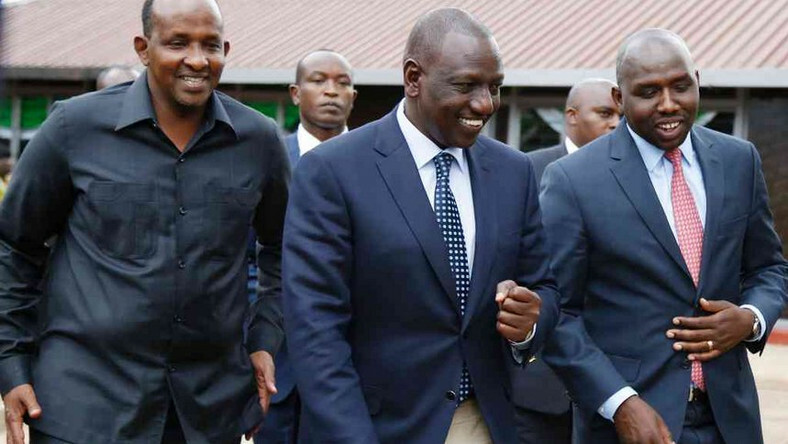 Junet, who is also the Suna East MP, said Joho's critics made the accusations because President Uhuru Kenyatta had stopped the Tanga Tanga team from going around the country to launch projects. "They were going around launching fake projects. But after the Executive Order... members of the group are idle that is why they have time to malign other leaders who are busy serving Kenyans,"
"The Tanga Tanga movement is a doomed voyage and a lost cause... every time the movement lacks an agenda to sell for 2022, they resort to maligning others,” he said. Among the leaders present during the press conference were Homa Bay Woman Representative, Gladys Wanga, Saboti MP Caleb Hamisi, Kwale Senator Issa Juma Boy and Nominate MP, Godfrey Otsotsi.